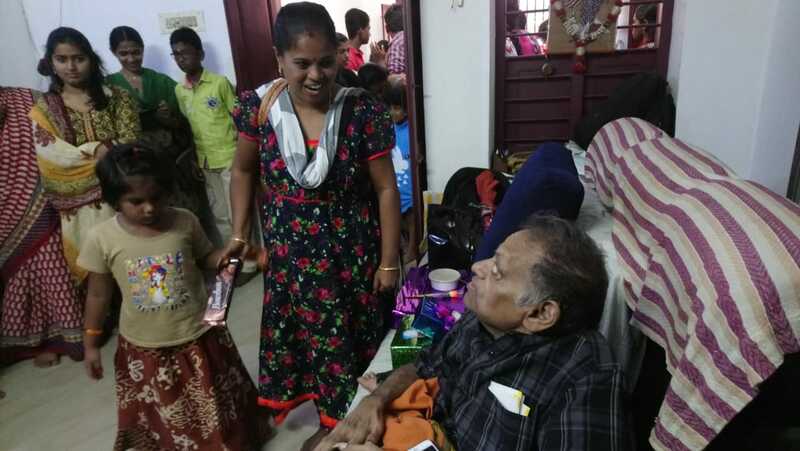 Deepavali, the festival of lights and the founder trustee's birthday was celebrated on 4th Nov by a large number of students, parents and well-wishers. 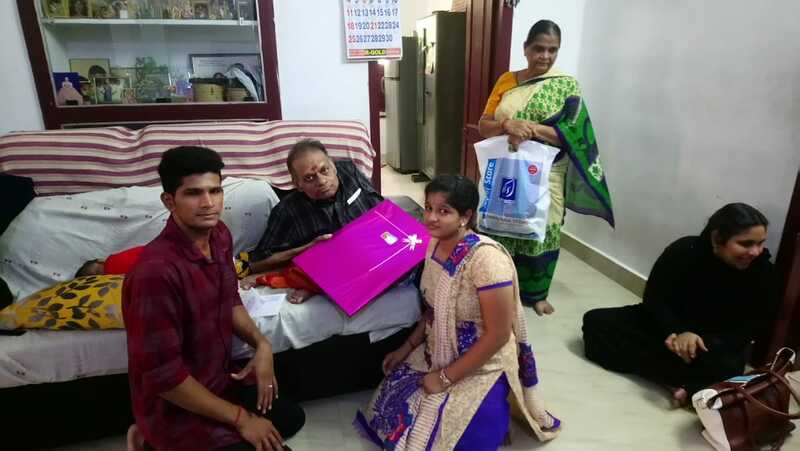 Maithri gave away new dresses to the hearing impaired. 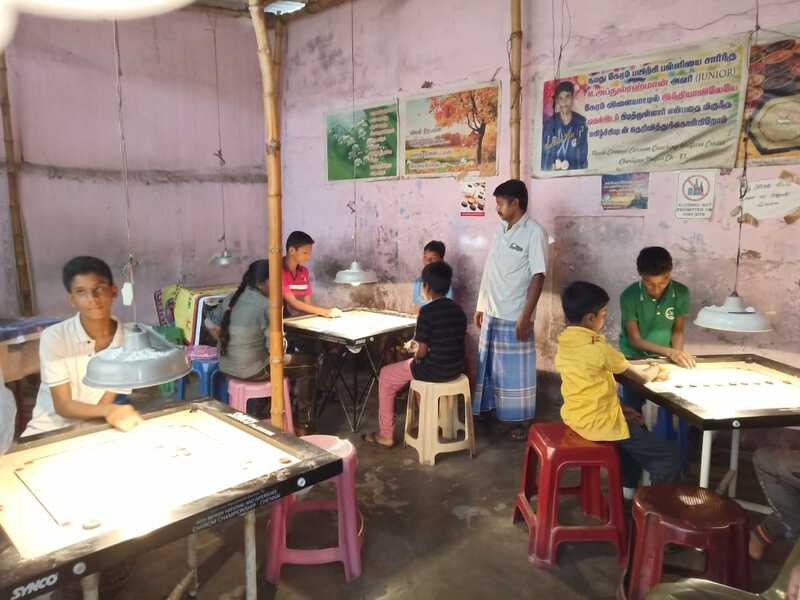 On Children's day: 14th Nov, Maithri gave away games and puzzles to talented and differently abled children residing in the slums. They are all well trained in games like chess, carom, etc., in a competitive level. 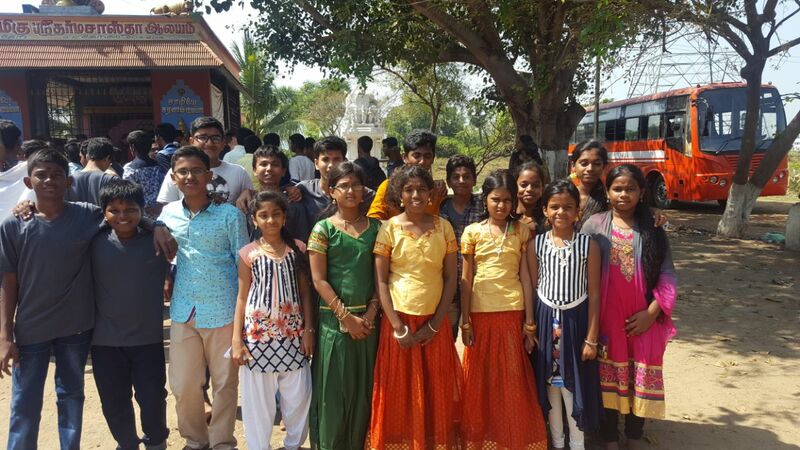 Students: present and past along with their tuition teachers celebrated Navaratri by setting up dolls and novelties for the 9-day festival. 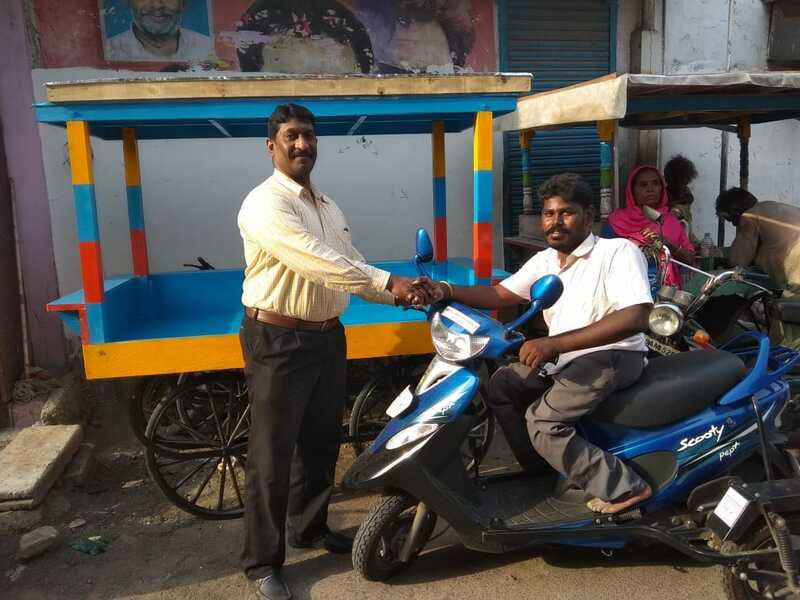 In the first week, Maithri presented Balamurugan a mobile cart to encourage small scale business and self-employment for the differently abled. 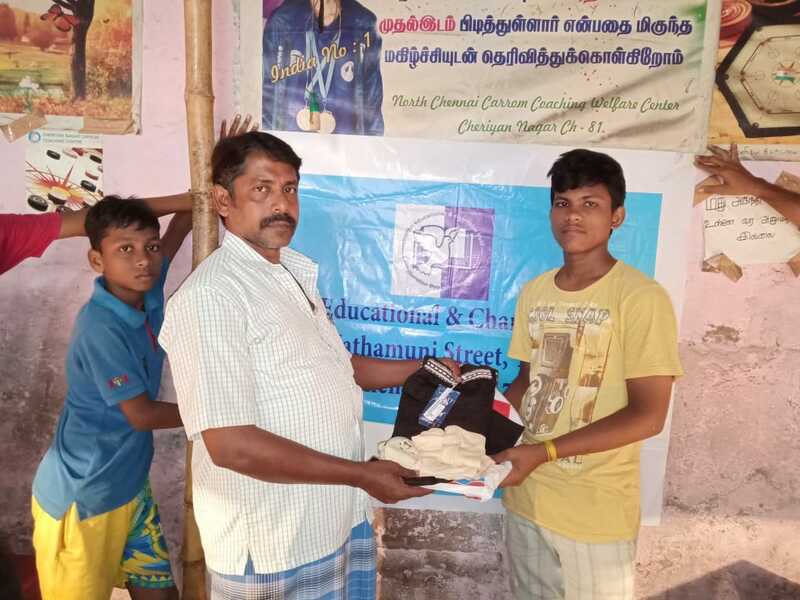 The goods for selling were also donated by an individual sponsor and the inauguration took place on 13th of this month. On Independence Day, Aug15th, students had a day long presentation on the life, dreams, sacrifices and works of freedom fighters. Discussions on topics like: after 71 years of Independence are we following their dreams and wishes, and questions as to why we are still lagging behind in reality. Recalling Dr. Abdul Kalam who has been a great inspiration to the students' community, will the future leaders make our nation proud and enable India to be one among the top nations in the world. 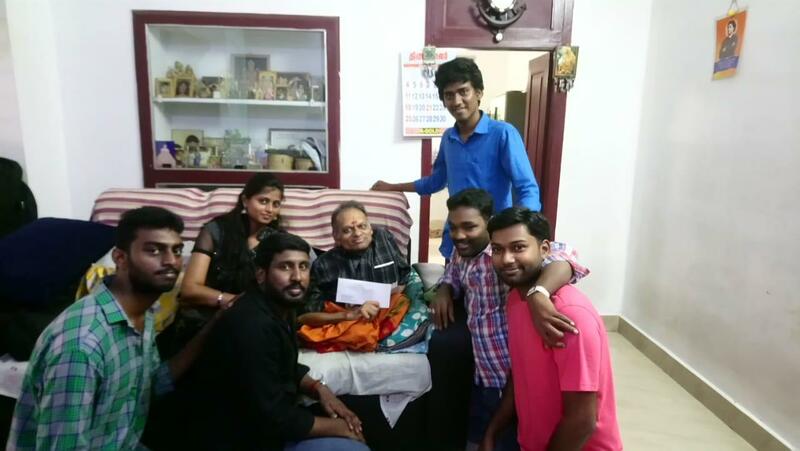 On 29th of this month Maithri went with a small group of past students and volunteers along with founder trustee for the annual visit to Kalanjiyam trust. It has always been refreshing to be in the green, rural environment. 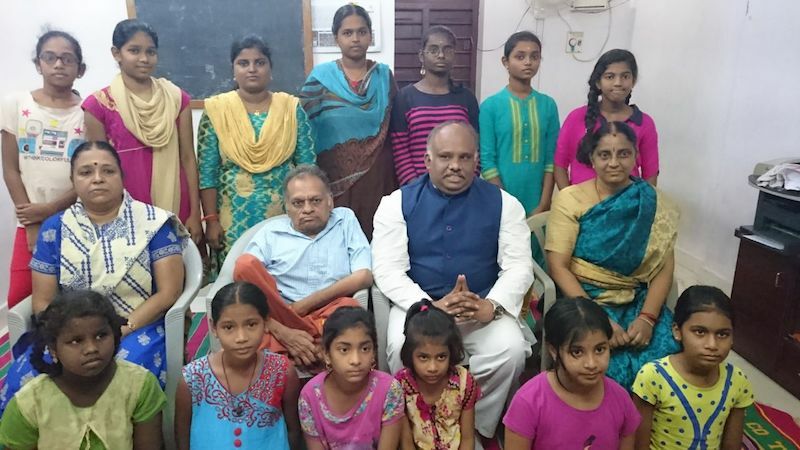 For the current academic year 2018-19, Maithri provided educational help to 32 students (both school and college). 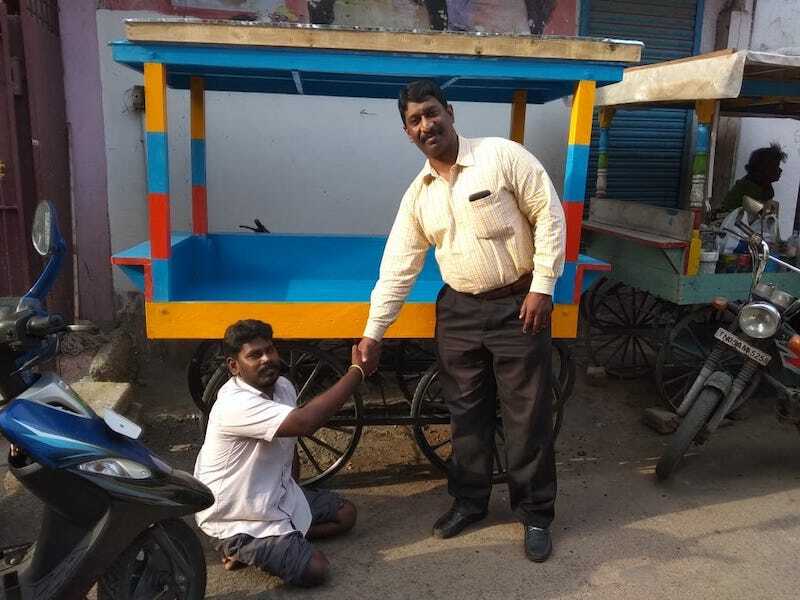 The function was a little over two hours starting with motivational talk by Mr. Suresh who, escaped a near death bike accident and with positive attitude and medical assistance returned to normalcy. He explained the healthy results of clapping hands from chest level to over the head for ten minutes daily and elaborated on breathing techniques for wellness. 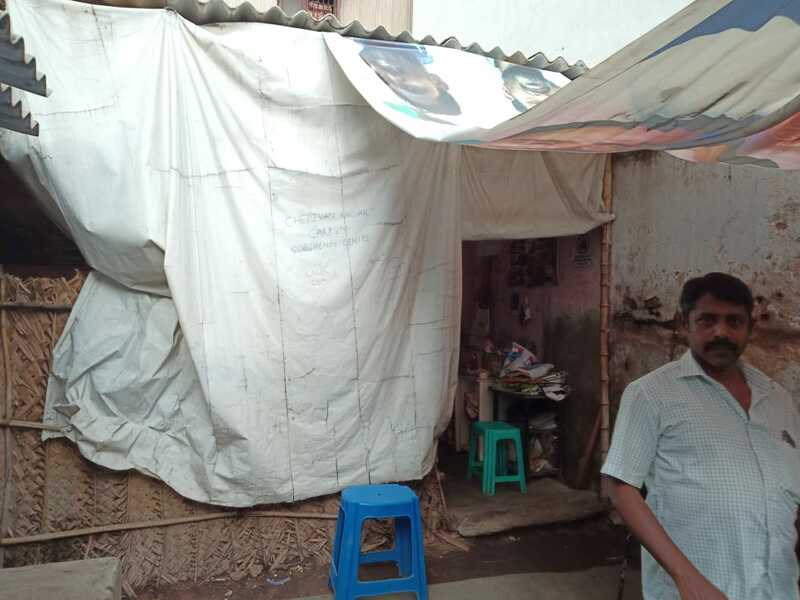 It has been 26 years since Maithri started working in the field of education and medical aid for inner city, suburban and rural children particularly, from economically weaker section. The graduated students chose different options including a few who went for post-graduation studies and some are placed in good companies and are giving back to Maithri. A few have had training from overseas and some have even chosen to settle abroad. Many students nowadays want their future in their own country. The current scenario is clearly a promising and assuring one. 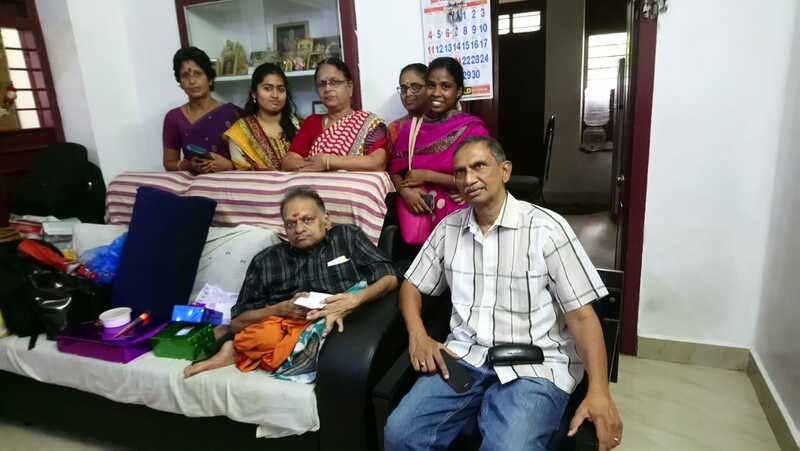 Regarding the Donors; they are the back bone of Mathri and its services from day one has been a Gift and Blessings. Three overseas contributors namely, Handi Care International, Canada, Marc Saquet Foundation, Spain and Jana Seva, USA have a special mention apart from various Indian agencies, Overseas and Indian friends, Individual supporters who have not only contributed financially but also in various other capacities add to the innumerable patrons and well-wishers. The plethora of goodwill serves as the eyes and ears of Mathri to find and figure out potential students to bring to the foremost realm in society. A Big Thank You to One and All. Mathri hopes with certainty that the next decade will see more and more service-oriented activities. 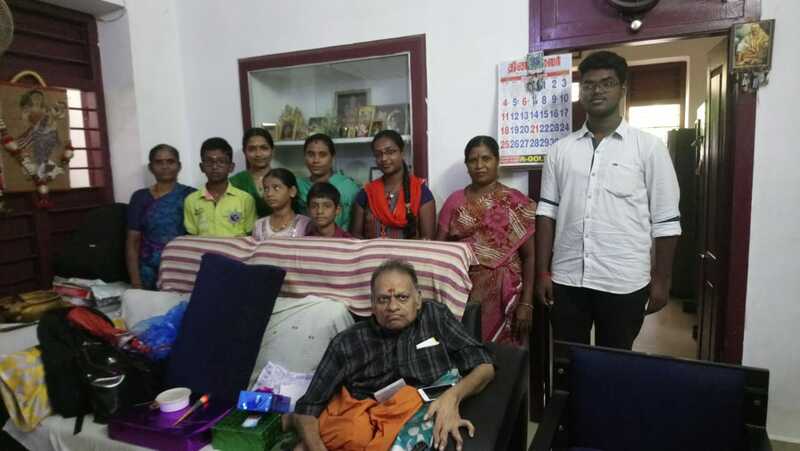 Maithri started 2018-2019 academic year with a steady flow of new, deserving students in addition to existing ones. Maithri has already provided for 60% of the students' strength and by August Maithri expects to cross the 300 mark. 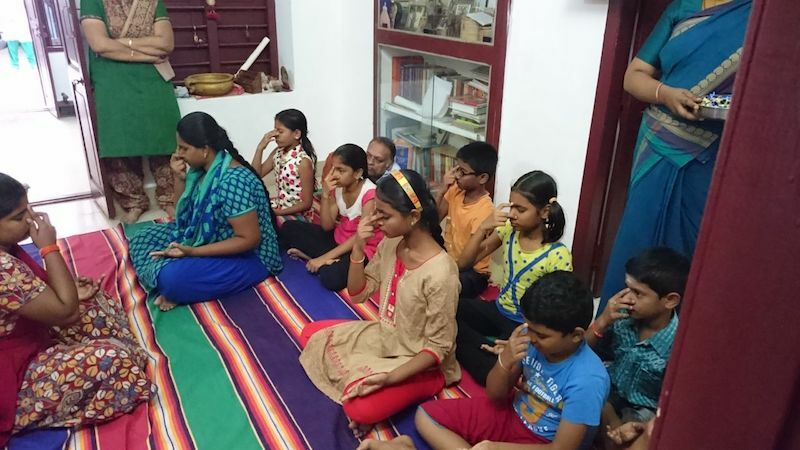 Yoga and breathing exercise sessions have been conducted for 50 students by Pandit Ravishankar Raja for ten days. The sessions were done every morning from 6 AM to 8 AM. 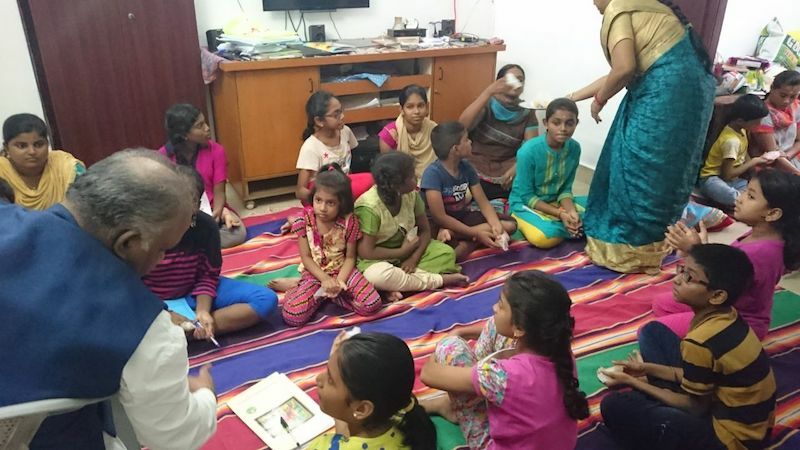 All the students from the age of 8 to 20 enjoyed the new experience of personalized attention-oriented class. 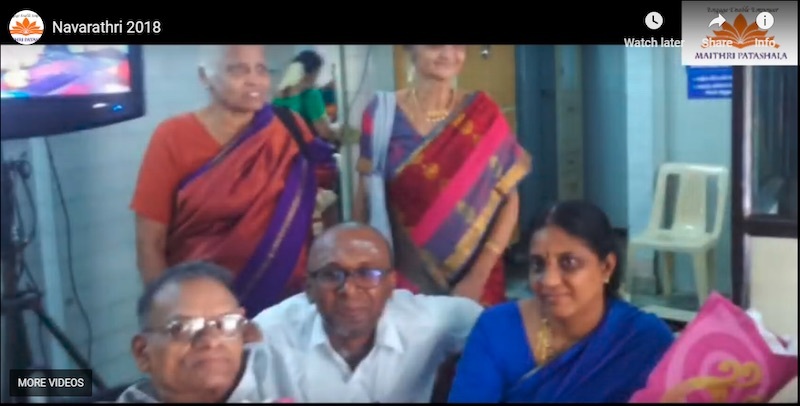 On the final day, the parents were invited to see their children's performance and were advised to encourage their wards to continue these exercises in their homes regularly. All those who passed out with high marks in 10th got matched on to their group of choice for their 11th grade. Most chose Commerce with Math. 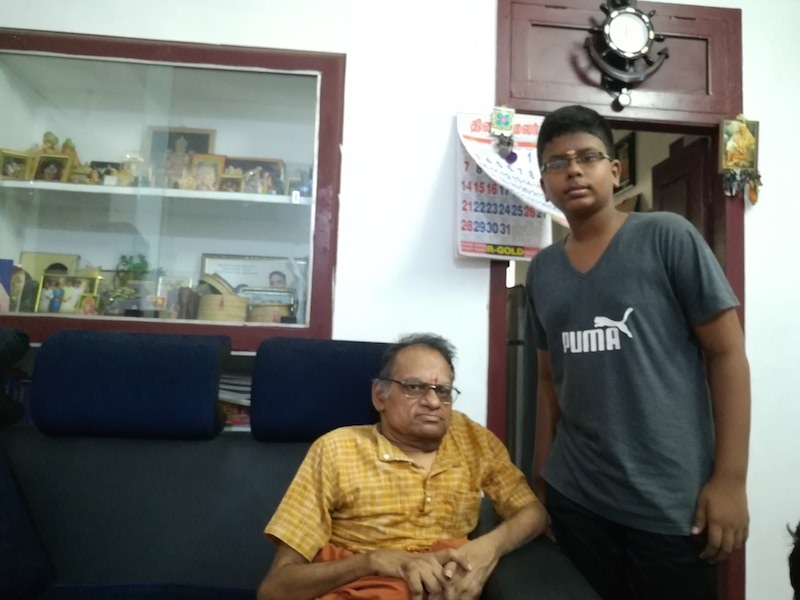 Vignesh came first and got easily to his choice of group in SRKMHSS and got concession in the tuition fees. March always is a month of serious nature for students. Students who will be appearing for Board examinations (10,11 & 12th) will undergo mock tests on all subjects every Sunday. The questions were prepared, and evaluations were made in strict manners similar to those followed by school authorities. Maithri takes this opportunity to thank all donors who are responsible for backing the various educational projects completed successfully in the financial year of April 2017- March 2018. 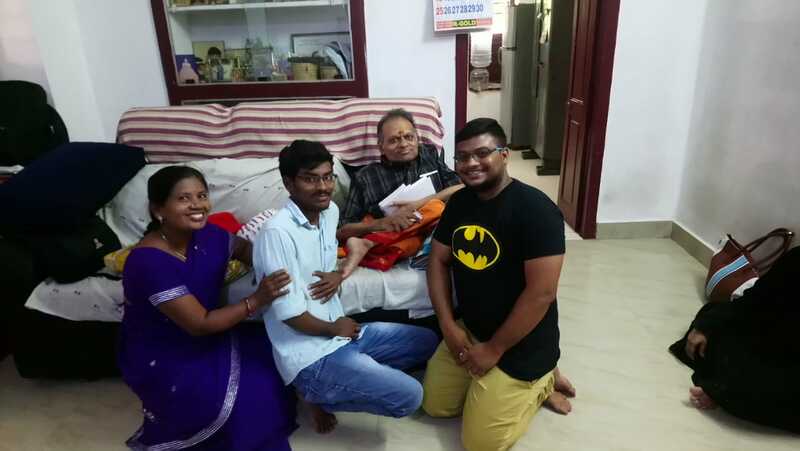 Maithri student Balaji Krishna who, graduated from Sastra University Tanjore after successful completion of the Bachelor of Engineering course, got a good job in Dubai. 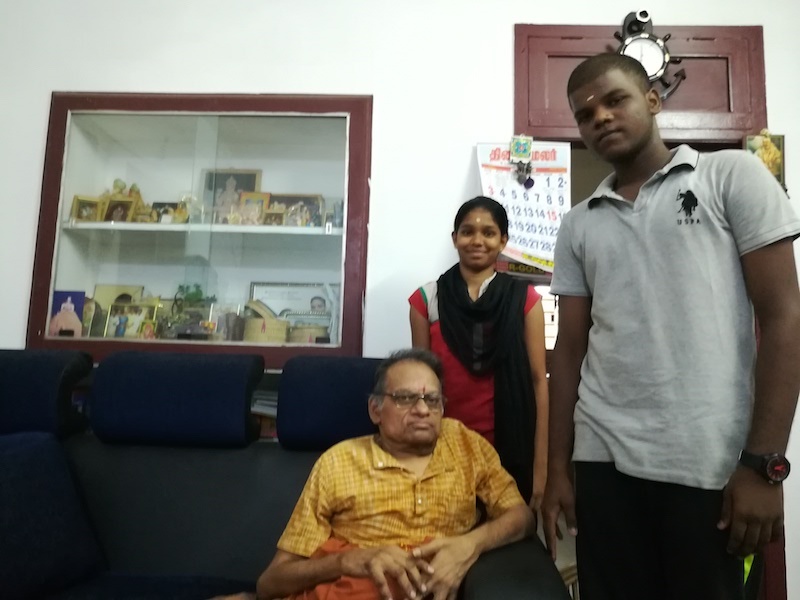 He is the first Maithri student to get an overseas employment very soon after course completion. Maithri sends him hearty congratulations. 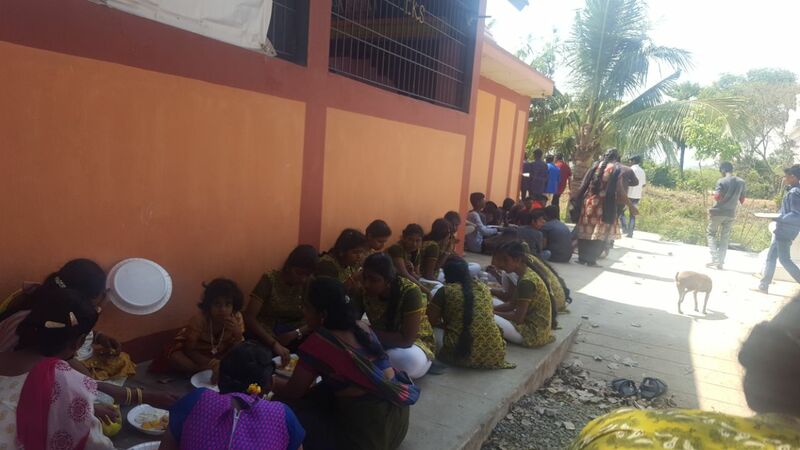 Maithri students are approaching their annual exams and mock tests. 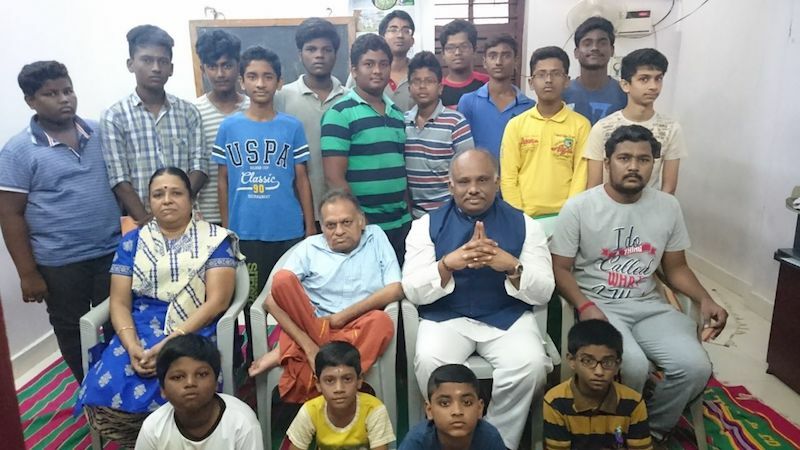 The tutors of Patshala put in extra time on students who were weak on specific subjects. 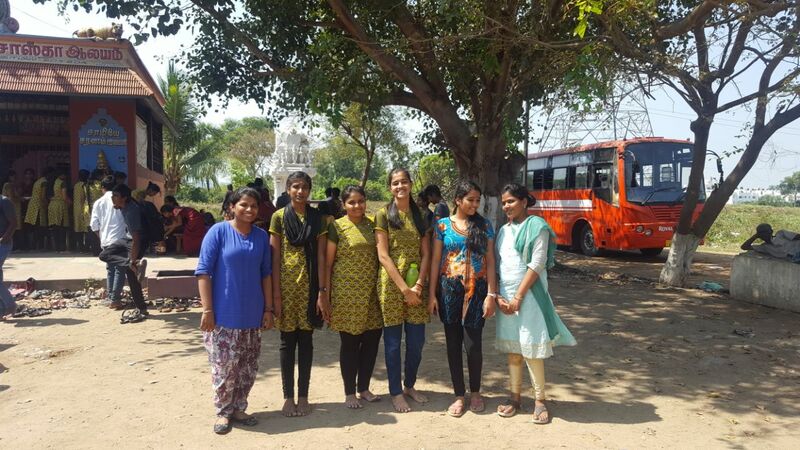 A few of the tenth, eleventh and twelfth students are taken to Chettipunyam by bus from Chennai to relax and pray for increased concentration and mental strength. 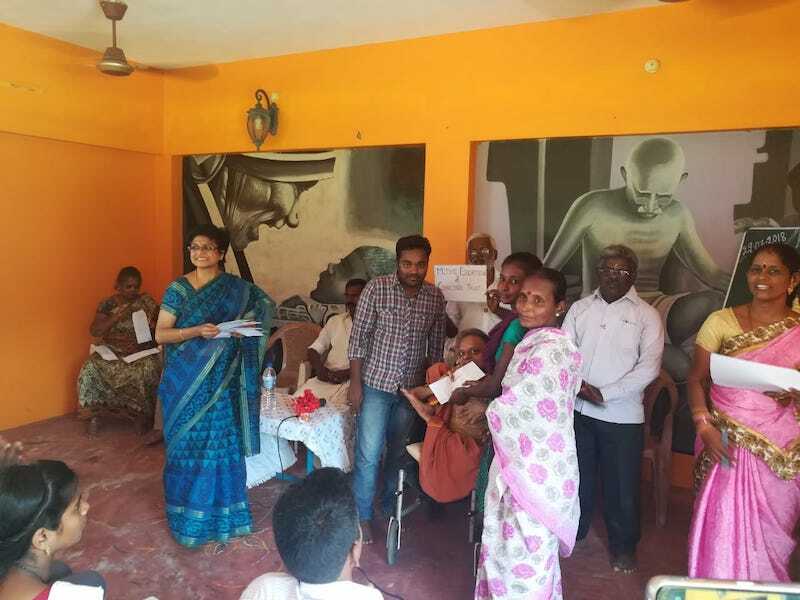 Food was provided by sponsors like Handicare International, Canada and Maithri which made the trip enjoyable and refreshing. Jan always opens with Chennai Book Fair. 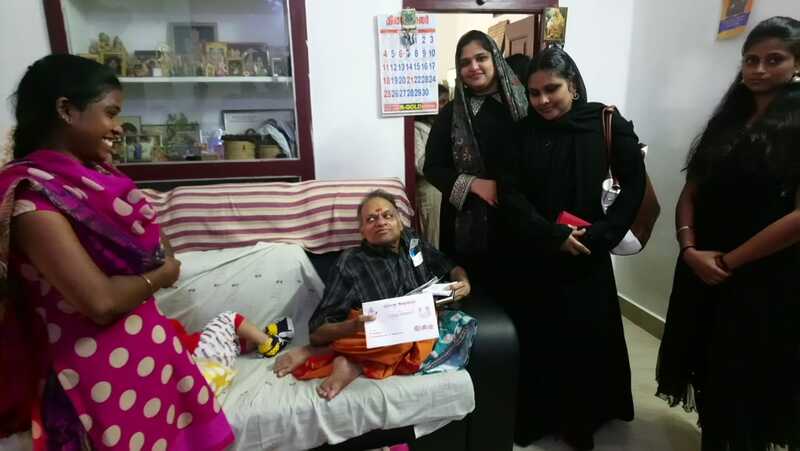 This year the publisher of the books on "Abdul Kallam" and "Everyday English" asked Maithri Students to receive the first copies. It was a great honour and happy time for the students to take part and go around the book fair and enjoy reading books. This reading habit has been diminishing nowadays. 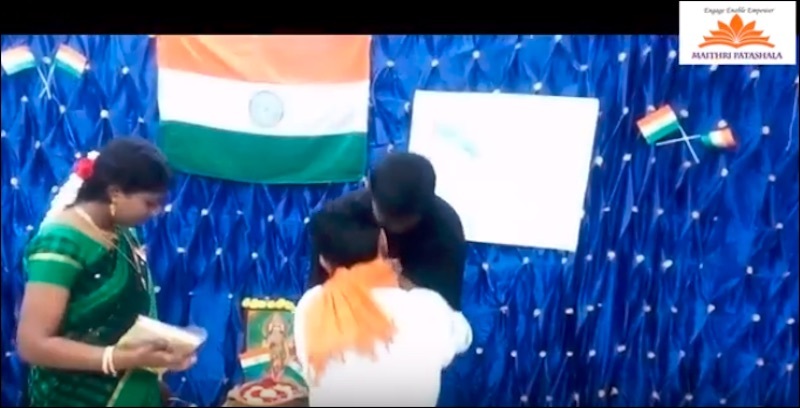 The hidden talent of students came out when Maithri Patashala, the tuition wing of Maithri conducted a debate on Republic Day. 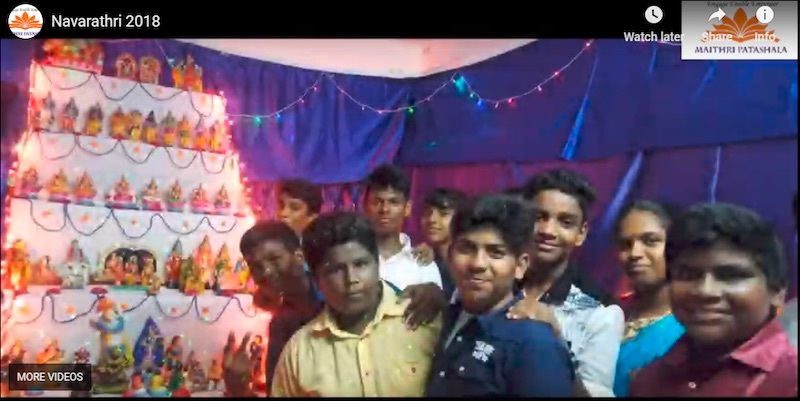 A few of the talks (Sriman, Abhinaya and NirmalKumar) are in youtube links given below.